THE family of Pat Finucane have waited seven and a half years for the British government to abide by its public commitment to hold an inquiry into allegations of security force collusion in the solicitor’s murder. 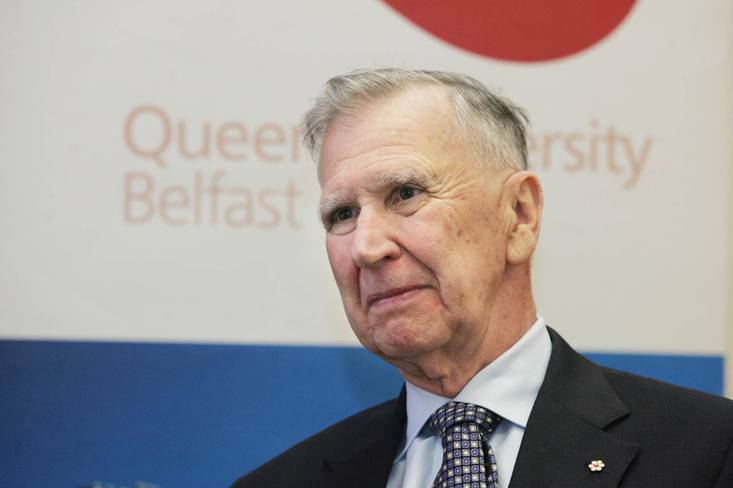 In April 2004 retired Canadian judge Peter Cory published a report into the solicitor’s 1989 murder which showed beyond doubt that members of the security forces had actively colluded with loyalist paramilitaries in the killing. But Judge Cory’s report revealed a much wider and systematic failure of the security forces, who he found had repeatedly failed to inform the father-of-three that his life was in danger in the 10 years before his death. The report revealed how the RUC and MI5 had prior knowledge of three previous loyalist plots to murder Mr Finucane, but chose not to inform him of any of the threats. The report found that the British army, Special Branch and MI5 knew the UDA was planning to kill the solicitor in 1981, 1985 and seven weeks before he was murdered on February 12 1989. However, the intelligence agencies chose not to warn Mr Finucane that his life was in imminent danger, insisting it would jeopardise the life of an undercover agent. Judge Cory also found evidence that Special Branch knew of 20 other planned attacks by the UDA – some of which resulted in murder – but also failed to warn the individuals. The UDA had planned to attack, among others, a priest and two solicitors. The plot against the solicitors, PJ McGrory and Oliver Kelly, came less than a week after Mr Finucane’s murder. 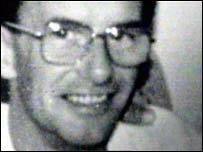 However, it is in the murder of Mr Finucane that Judge Cory was most damning of Northern Ireland’s intelligence agencies. Branch who, the report found, had withheld evidence which would have implicated their agents in the solicitor’s murder. The report also found police had failed to preserve potential evidence taken from the getaway car used in Mr Finucane’s murder. Despite being informed of the location of one of the murder weapons, police also made “no serious effort” to retrieve the gun for potential forensic examination. Force Research Unit (FRU) agent Brian Nelson was the key figure to have been protected because of his role in Pat Finucane’s murder. The report concluded that Nelson’s army handlers not only knew he was targeting nationalists, but also actively helped him in intelligence gathering. “After Nelson’s re-recruitment there is no doubt that FRU understood he was targeting individuals for the UDA and that this was his prime function,” the report stated. 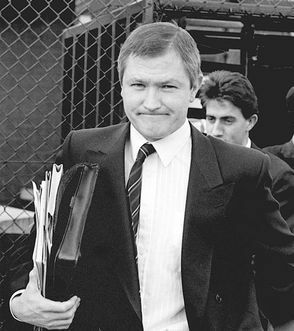 Although Pat Finucane was not connected to any paramilitary group, both Special Branch and FRU kept separate files on the solicitor. Judge Cory found there was an “unfortunate attitude” among some members of Special Branch during 1988/89. “In some instances Special Branch failed to take any steps to prevent actual or planned attacks on persons targeted by loyalist terrorist groups. Mr Cory found that despite warnings of planned UDA attacks, Special Branch paid “virtually no attention”. “It was exceedingly rare for the Threats Book to record any targeting carried out by the UDA. “This is very different from the numerous entries documenting PIRA threats and the steps taken by Special Branch to court republican terrorist activities. Only on one occasion did Special Branch warn a Catholic taxi driver that the UDA was planning to kill him. “This discrepancy in the treatment of PIRA and UDA targets may be indicative of a selective, perhaps subconscious, bias on the part of Special Branch,” the report said. When Nelson’s role in the murder of Pat Finucane and others was uncovered in 1990, Special Branch and FRU were said to have attempted to thwart any inquiry. Judge Cory found: "The wilful concealment of pertinent evidence, and the failure to cooperate with the Stevens inquiry, can be seen as further evidence of the unfortunate attitude that then persisted within RUC Special Branch and FRU. 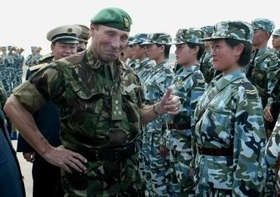 The report also raised concerns over FRU’s Brigadier Gordon Kerr’s assertion at Brian Nelson’s trial in 1992 that his agent had saved 217 lives. Judge Cory found the claim was based on a “highly dubious numerical analysis that cannot be supported on any basis”. In fact Brian Nelson’s activities were only said to have led to one life being saved. On that occasion, FRU was forced to saturate the area of the planned attack when it was discovered Nelson was driving the murder car. Judge Cory claimed that Nelson’s FRU handlers and their superiors operated a policy of “turning a blind eye” in relations to their agents’ involvement in murder. The report concluded that Special Branch’s failure to act upon, or even pass on, known threats to Pat Finucane, the failure to make any serious effort to recover one of the murder weapons, and the withholding of vital information from the murder inquiry, could all constitute collusive acts. “If, as I have found, there is evidence which could be found to constitute collusion then the community at large would, undoubtedly, like to see the issue resolved quickly. “This is essential if the public confidence in the police, army and the administration of justice is to be restored.